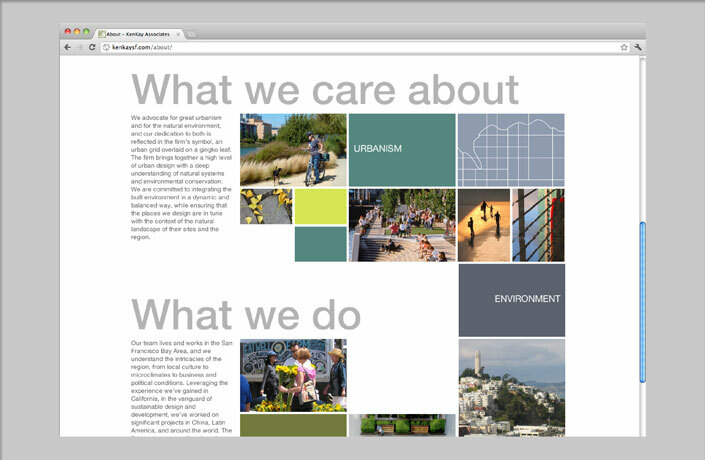 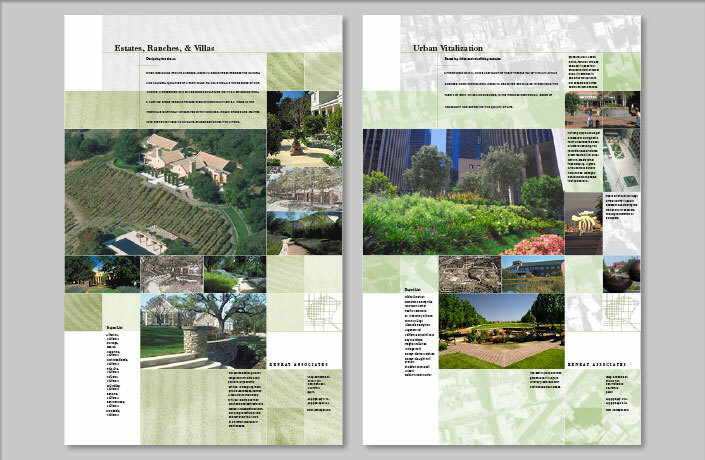 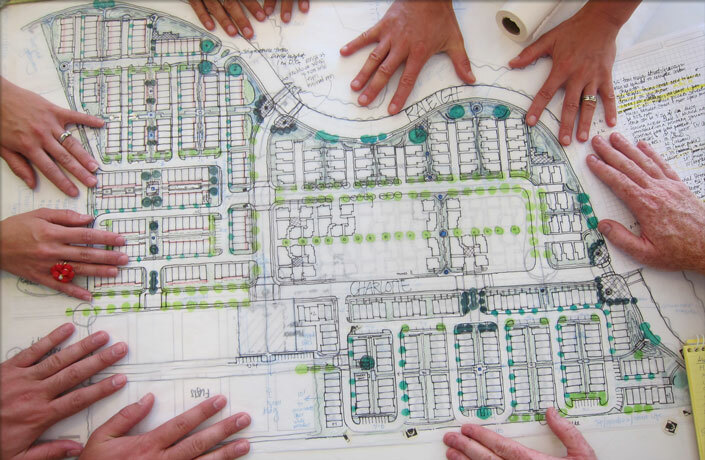 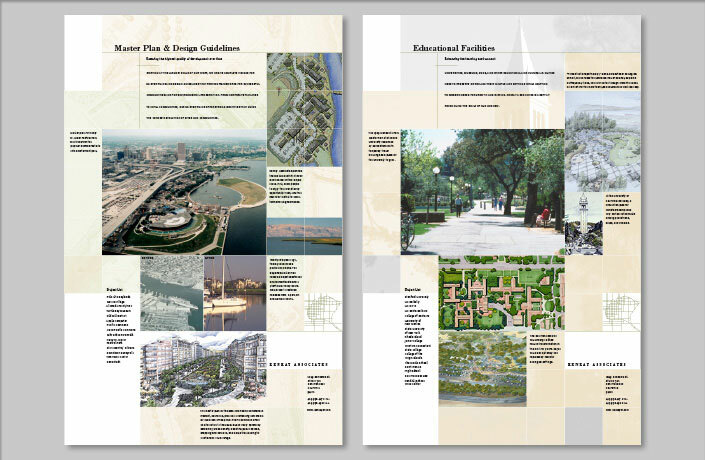 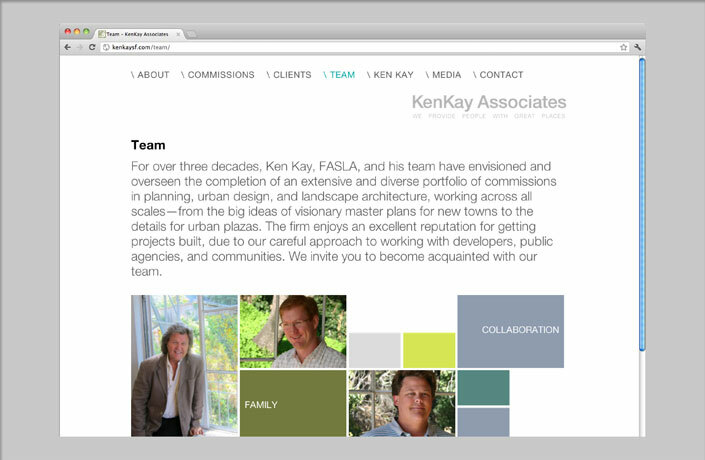 L Studio first worked with KenKay Associates in 2000 to design a new identity and print system for this accomplished landscape architecture and urban design firm based in San Francisco. 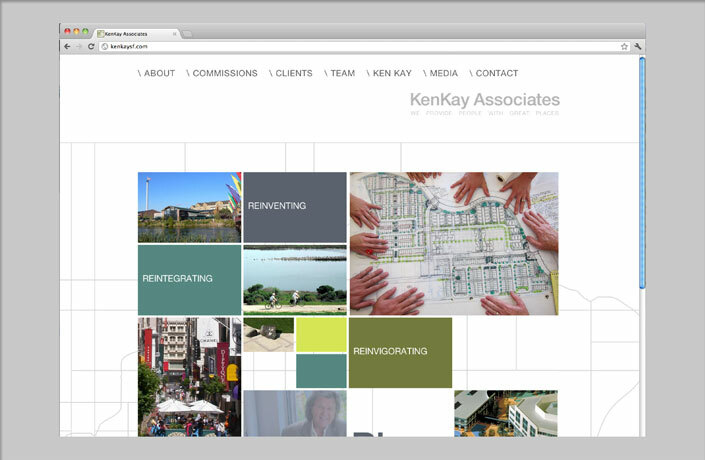 In 2013, we worked with the firm again to refresh it’s brand and messaging, and to develop a new website to showcase the firm’s philosophy and portfolio of built projects and current commissions with updated technology to be responsive to mobile devices. 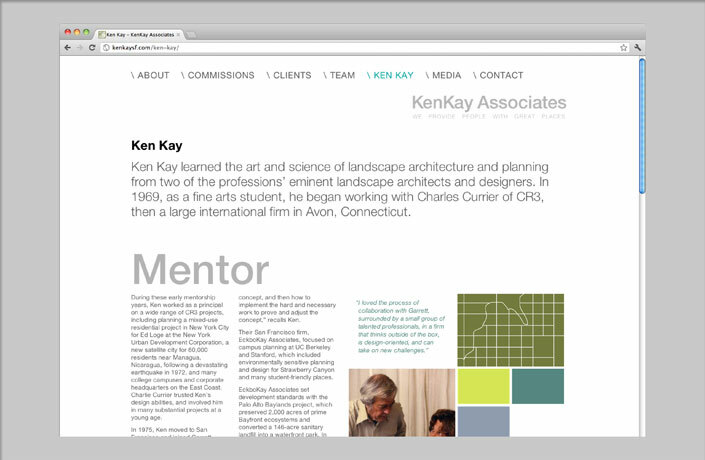 Extension of KenKay Associates’ existing identity, which L Studio designed in 2000, including a refined logotype treatment and definition of a new family of colors and fonts. 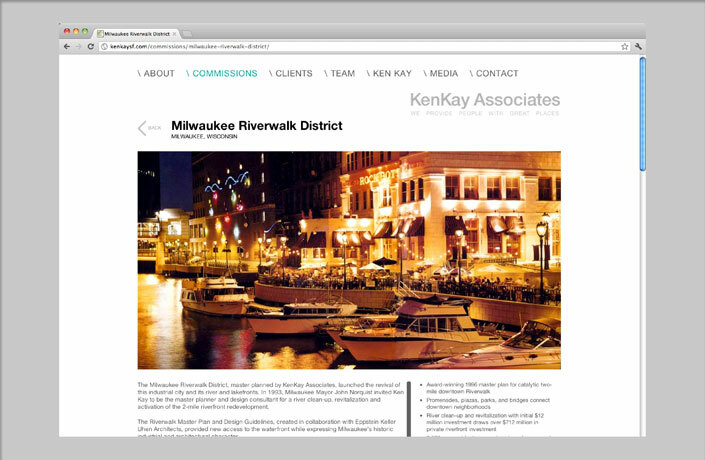 Design and development of a new website using WordPress, with customized features to create a dynamic display of visuals and verbal messages. 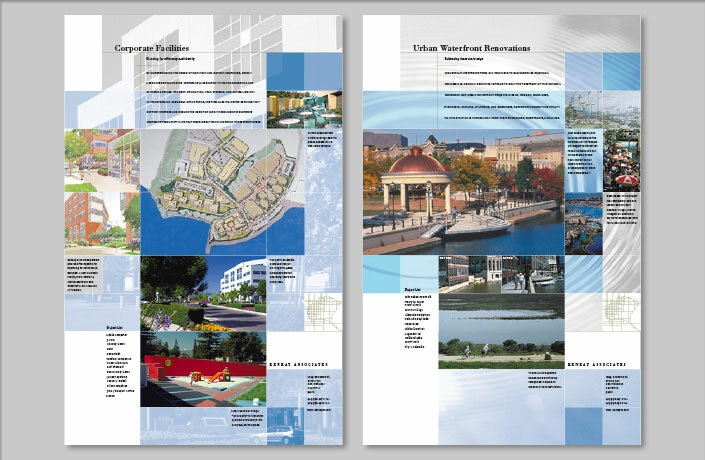 Design of a suite of posters to represent the firm’s primary market areas, which are featured in the entryway to the design studio.